I have always been a fan of Christian Dior as a fashion house. Ever since I visited the store, 30 Avenue Montaigne, on my Shopping Trip to Paris last year - I was inspired by the Fashion House. The store wasn't just a store in which you and I would think, it was literally like a Museum. Christian Dior himself opened that store, so it was somewhat of a landmark for the house and it truly was a beautiful place to be. Full of inspiration and the mood in store was absolutely fabulous. I really enjoyed my afternoon in there. 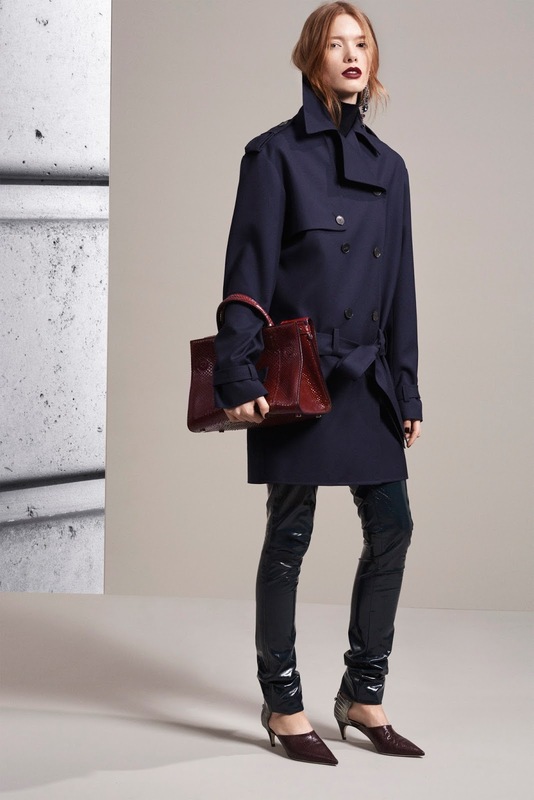 This collection wasn't what I was expecting from Raf Simmons this Pre-Fall, perhaps that is because Raf stepped down as the fashion house's Creative Director this past October. For his last few collections he has given us soft, feminine, innocence and romance. I feel that this collection contrasted that completely ... giving us a more masculine feel this season. Perhaps after his departure, the brand is venturing into a more strong look. Of course, there were still pieces that I would describe as Classic Dior. For example, the gorgeous Lady Dior in Burgundy Crocodile made an appearance which without a doubt has to be my favourite bag this Pre-Fall. In addition, the gorgeous tailored coats I love from Dior were included, with different shapes and sizes. I would also say this collection different follow a particular theme or muse, but that doesn't mean it wasn't as strong or interesting as previous creations. There was many layered looks this season which is great for an Autumnal/Winter season as of course, for most countries the weather is significantly colder - especially here in the UK. 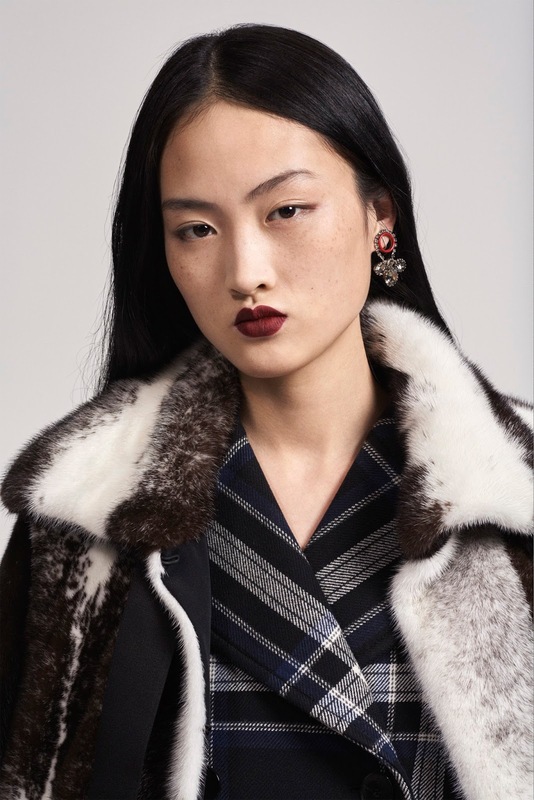 There was a contrasted look of a casual parka, which is arguably an essential piece in any woman's wardrobe, teamed over a patterned top and embellished skirt. A gorgeous monochrome shawl draped over a camel leather top - which was, i must add, absolutely gorgeous, and a pale pink double breasted coat worn over a bright red V-Neck jumper layered over a black roll neck. It seemed that doubling up was bang on trend this season. The colours worked together so well and it truly was a great collection.